Is Cheltenham betting favourite Al Dancer just a handicapper in a Grade 1? Only two horses have come out of the Betfair Handicap Hurdle, which he won last time out, to be placed in the Supreme Novices' Hurdle in the past 10 years, and neither have won, though both were fancied in the betting. There's also the fact that the last 10 winners all last ran in a novice hurdle. Will this Nigel Twiston-Davies-trained star be the one to buck that trends? In a year when many novice hurdlers have struggled to gain experience owing to fast ground conditions, his experience will be key. Whether it's enough to topple the likes of impressive course-and-distance winner Fakir D'Oudairies, the Tolworth Hurdle winner Elixir De Nutz, Aramon and Felix Desjy only time will tell. The Supreme Novices' Hurdle is a 2m 1/2f Grade 1 hurdle race open to horses who won their first hurdle race this season. Worth £70,337 to the winning connections, it is the biggest test for young speedy hurdlers, and opens the 2019 Cheltenham Festival, its start accompanied by the famous Cheltenham roar for the first race. When applying the key Supreme Novices' Hurdle trends to this 2019 field, you get an intriguing shortlist of four runners: Klassical Dream, Felix Desjy, Angels Breath and Elixir De Nutz. Klassical Dream (10/1 Coral NRNB) is the least certain to run, despite having battled hard to beat stablemate Aramon in a Grade 1 at Leopardstown last time out. That rival will line up, but Klassical Dream could step up in trip for the first time to run in the Ballymore Novices' Hurdle instead. If he does line up, and Ruby Walsh takes the ride, he's the top tip. He's had far more runs than a usual Supreme Novices' Hurdle winner though, as has fellow trends tip Elixir De Nutz (8/1 Unibet) - winner of the Grade 1 Tolworth Hurdle at Sandown last time out, as well as two races at Cheltenham. Recent Grade 2 winner Felix Desjy (20/1 Bet365) is trained by Gordon Elliott, who has a 25% strike-rate in the race and reported at his >> Cheltenham Stable Tour that a change in riding tactics for the six-year-old earned him his latest win and will bring further improvements. He looks a really good each-way bet at those odds. The final trends tip is former ante-post betting favourite Angels Breath (11/2 Bet365), whose preparation has been less than ideal. Outside the trends, favourites Al Dancer (100/30 Betfair) and Fakir D'Oudairies (11/2 Black Type) do look certain to place, the latter showing shades of Binocular, who was the last four-year-old to make the frame in the race in 2008. 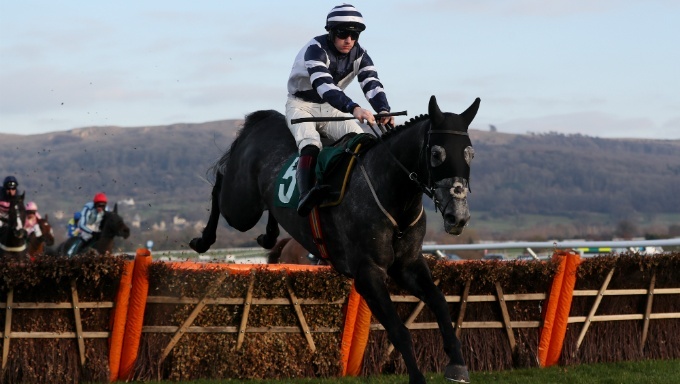 In the event Klassical Dream is absent, Aramon could be the default bet at 14/1 with William Hill, but the best Supreme Novices' Hurdle betting tip for me is Felix Desjy - he's really turned a corner and seems to be a massive price at 20/1. "He's in really good form, and after winning nicely at Ascot doesn't appear to have taken anything out of himself at all. If he gets top of the ground or some cut, it won't bother him. "Furthermore, he's already been to Cheltenham this season and on that day he appeared to relish coming up the hill. He travelled and quickened, and never looked like stopping. "If he gets the fast pace and a bit of cover he requires he should run very well. He certainly looks our best chance of a winner at the Festival." "He looked very good in Cheltenham the last day and I think he has a big chance wherever he's going to go. I suppose it would make sense to split them up and Sir Erec doesn't have entries in the novice races, whereas Fakir does. "The logical thing would be for him to go for one of the novices and Sir Erec to go to the Triumph, but the horses have a full preparation to go through and they have to get there in one piece." "His form stands up to anyone else's in the race and he goes well from the front. We took him, Native River, Kilbricken Storm and Master Debonair to Wincanton for a gallop and it was a job to hold on to Elixir De Nutz, he went five lengths clear and is a strong front-runner. We're not going to stop him; we'll go straight from the front." "Angel's Breath needed the run [when beaten at Kempton last time out] and Nico [de Boinville, jockey] said he just took a blow at the wrong moment. It's sharp enough around there, but nobody is despondent and I still think two miles is the right trip on a stiffer track." "He's a real tough one and is now rated 152 which is high for a novice. He's had a great season. He is every bit as good as Al Ferof and Noland [Supreme winners] but is quite a big price and we think he is in with a great chance. He gallops on and he has done nothing but improve, he is versatile in terms of ground and we're looking forward to running him in the Festival opener." "Aramon has been fantastic all year and has surprised me. He keeps winning and he ran a cracker the last day - it was only a bob of the head. "Klassical Dream could be Supreme Novice or Ballymore. He's a very good jumper with a lot of experience. Ultimately he will want a trip. He's one that's giving me a little bit of a headache." "I was disappointed Vision D'Honneur was beaten first time out at Leopardstown, but he came back to win at Punchestown, and at Leopardstown last time out the ground was as quick as he wanted it - he didn’t really let himself down or jump off it. But he seems in good form at home. Down the road you could step him up trip beyond 2m. "I think we were riding Felix Desjy wrong half-way through the season. I was dropping him in thinking he had a bit of speed, but he’s actually just a relentless galloper. He goes for the Supreme Novices' Hurdle, and it's not essential he makes the running there. "He was just beaten in the Tolworth by Elixir De Nutz and we ran him the other day in the Kingwell Hurdle and he won beating Sceau Royal and Vision Des Flos, who won the National Spirit at Fontwell. He really toughed it out for a novice. "The last novice we had win the Kingwell was Azertyuiop, who won the Arkle and the Champion Chase, so it would be nice to think this lad could go on too and he'll go novice chasing next season." Al Dancer's win in the rearranged Betfair Hurdle at Ascot last time out was his second successive handicap victory, the first coming over 2m1f at Cheltenham. Though highly-tried in competitive handicap company, he has not run in a Graded hurdle, and therefore lines up as an unknown quantity. He's also rated slightly below-par at 141 - 10 of the last 11 winners being rated in excess of. The positives are that does go on soft ground and has got crucial experience of both big fields, competitive fields, and Cheltenham. In the past 20 years 12 four-year-olds have run in the Supreme Novices' Hurdle, one finished second, one won - both went on to win the Champion Hurdle. That's the class Fakir D'Oudairies will have to be to defy his youth this year, but four races he had over obstacles as a three-year-old in France could well help him do that. He romped to an all-conquering win in a Grade 2 four-year-old event at Cheltenham in January, prompting JP McManus to buy him in order to keep him out of the Triumph Hurdle, where he runs favourite Sir Erec. In addition, he did beat five-year-olds in a maiden hurdle at Cork on his first run for trainer Joseph O'Brien, showing he is strong beyond his years. Angels Breath shot to the head of the Supreme Novices' Hurdle betting with victory on debut in Grade 2 company at Ascot back in December. It was only a nine-runner field, but his point-to-point win before sent him off the 6/4 favourite. Unsuitable ground and the equine flu outbreak that shut-down racing, meant he did not run again until February, where he was beaten at Kempton under a winners penalty. It now feels like this is not the five-year-old's year. The Tolworth Hurdle winner Summerville Boy defied odds of 9/1 to win last year's Supreme Novices' Hurdle and this year Elixir De Nutz will bid to do similar - presently priced at odds of 8/1. He's also won two novice hurdles at Cheltenham, including over course-and-distance, but the worry is that his vast improvement this season has been brought about by switching to front-running tactics. The pace set in the Supreme makes it almost impossible to win from the front - last year 7/4 favourite Getabird attempted it, and was beaten three hurdles from home, though in 2014 the magnificent Vautour made most to win by six lengths. Klassical Dream is one of only three Grade 1 winners in the field - joined by Elixir De Nutz and stablemate Aramon. Trainer Willie Mullins has talked about stepping him up in trip for the first time to run in the Ballymore Novices' Hurdle instead, but the promise of softer ground on the first day may confirm him for the Supreme. He showed honest, battling qualities to pip Aramon at Leopardstown last time out, confirming form with Vision D'Honneur, who re-opposes. The thing is, jockey Ruby Walsh has ridden the last three Willie Mullins-trained winners of the race, so look out for who he chooses. Trainer Gordon Elliott described Felix Desjy as a 'relentless galloper', admitting that he had been instructing jockeys to ride him incorrectly in the first half of the season. Changing that produced a five-length Grade 2 win over Jetez last time out, signalling real potential for this six-year-old, who last year finished sixth in the Champion Bumper. He runs in the same colours as stablemate Vision D'Honneur, and it will be interesting to see which jockey Jack Kennedy plumps for. Vision D'Honneur was sent off 7/4 favourite for his Irish debut in a four-year-old maiden hurdle at Leopardstown's Christmas meeting, but disappointed back in fourth. He bounced back to win at Punchestown in January, then found the ground too quick behind Klassical Dream and Aramon in a Grade 1 at Leopardstown. Ground will be more to his liking at Cheltenham, but the question now is whether he has the confidence and form to utilise it. There's a reason most Supreme Novices' Hurdle winners won last time out.